Oranges seem to be on 3 for 2 special offer at the moment so I have quite a lot. They are super juicy and tasty. As I like orange liqueur I thought it might be good try an orange voddy. I’ve just prepared it now and its in the pantry doing its fruit voddy thing. 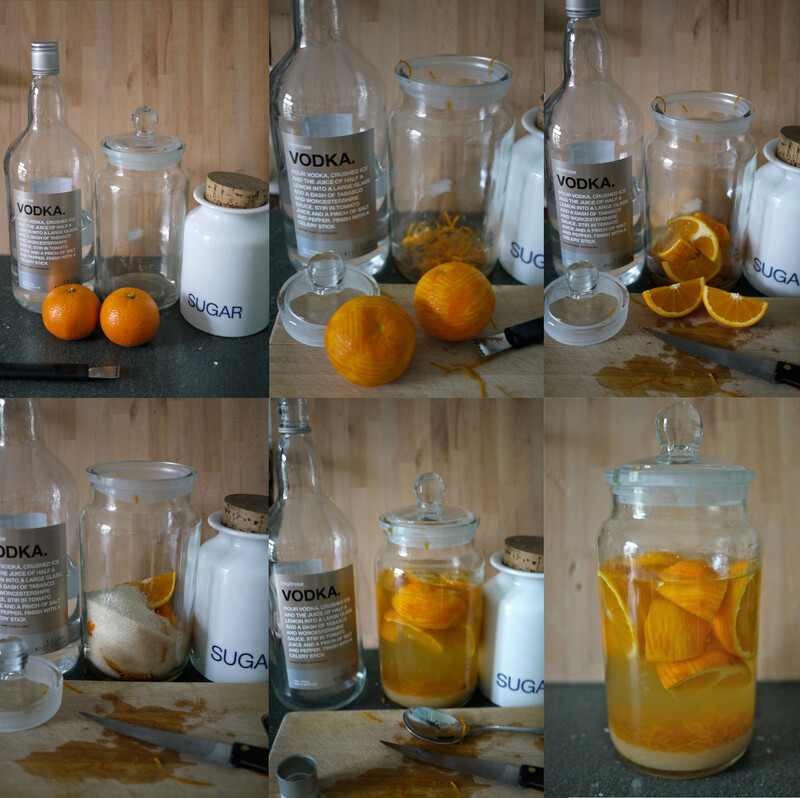 You can find my rules of thumb for fruit vodka making here.